Collins Booksellers - 125 Physics Projects for the Evil Genius by Jerry Silver, 9780071626071. Buy this book online. 125 Wickedly Fun Ways to Test the Laws of Physics! Now you can prove your knowledge of physics without expending a lot of energy. 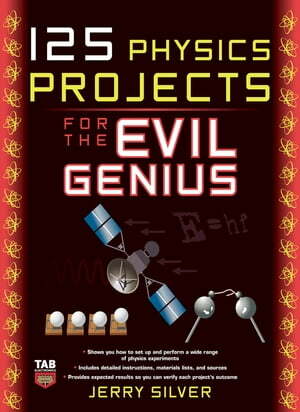 125 Physics Projects for the Evil Genius is filled with hands-on explorations into key areas of this fascinating field. Best of all, these experiments can be performed without a formal lab, a large budget, or years of technical experience!